Gary Maggetti was no different, and at the age of four, the hypothetical question became reality—his parents decided he and his twin brother were old enough to make the 6-hour trip from San Jose to Anaheim to experience the happiest place on earth. It was everything he hoped it would be (despite the fireworks being incredibly loud for his fragile 4-year-old ears). From meeting his favorite cartoon characters in real life to dodging cannons in the Pirates of the Caribbean water ride, it was a dream come true. 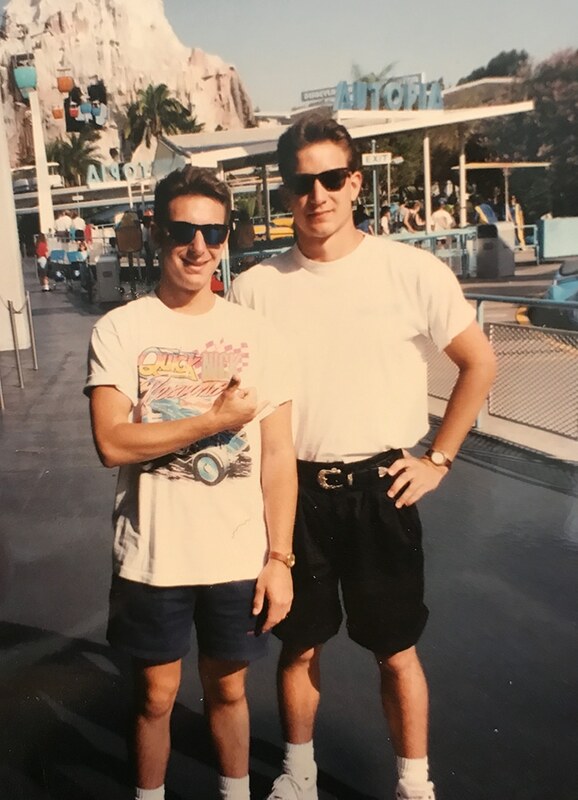 Gary and his twin brother Chris at Disneyland, circa 1994. In the years to follow, his family would return every two years, alternating between staying at the Disneyland Hotel or the Disney campground. Though the Maggetti boys grew older, Gary’s memories of Disneyland would forever hold a special place in his heart. Come time for college, Maggetti was ready for a change from his California lifestyle. He knew he wanted to work in the hospitality industry and had narrowed down his choices to the top-notch hotel and restaurant management (HRM) programs. But, to get the “Dead Poet’s Society” college experience he so desperately longed for, he wanted an out-of-state experience with all four seasons. The school that fit the bill? Northern Arizona University. At the time, Maggetti was working at the McDonald’s restaurant across the street from campus. His general manager, HRM alumnus Dave Lerma, had participated in the Disney internship a couple years prior, working in food and beverage. He had nothing but great things to share with Maggetti about his experience, and encouraged him to apply. 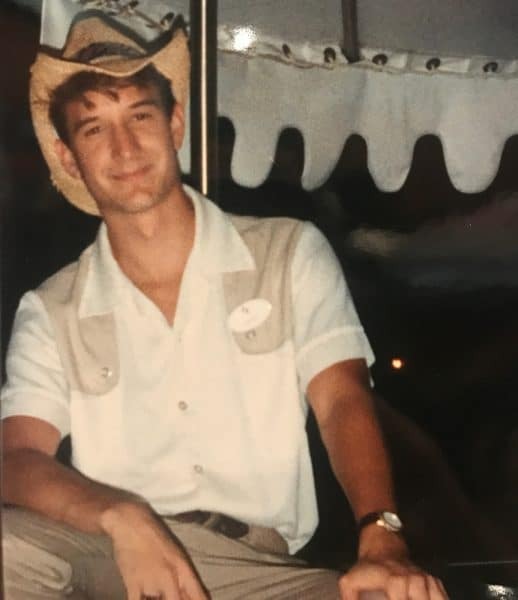 In the middle of his college program internship, Maggetti poses as a jungle cruise skipper at Walt Disney World in 1992. Maggetti was cast as a jungle cruise skipper—something that struck him as odd seeing as his major was HRM. The job, however, allowed him to interact with the guests, gaining valuable people skills. The internship also came with a robust education component. After completing the semester-long program, Maggetti returned to NAU to continue his studies, immediately moving into a management role at the McDonald’s restaurant where he worked. He used the skills he learned at Disney and in his HRM classes to continue working his way up throughout the duration of his college career. On Main Street, Maggetti worked as a food and beverage host during the Disneyland College Program in 1994. During the summer of his junior year, another opportunity at Disney presented itself. He was selected to participate in the Disneyland College Program, which allowed him to return to his home state. 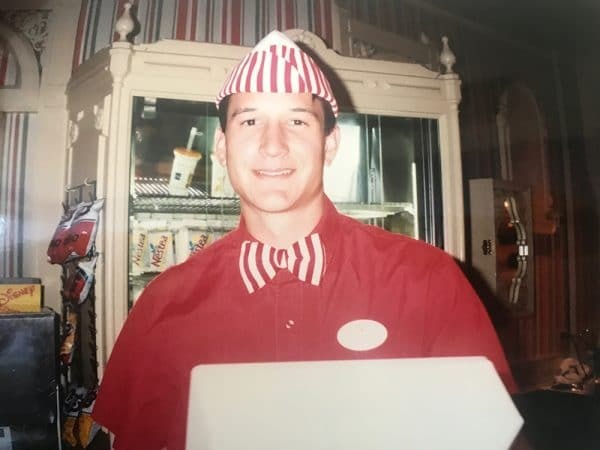 He was cast as a food and beverage host on Main Street, which helped him make connections with Disney leaders on the West Coast. By the time senior year rolled around, in addition to having job offers from several hotel and restaurant chains, Maggetti was offered a full-time position at both Walt Disney World and Disneyland. He began working in entry level management in Disneyland’s Tomorrowland restaurants in January 1996—exactly one month after graduating from NAU. To sum it up, NAU taught me how to live, learn and work. The curriculum for my studies was taught by incredibly talented and caring professors, many of whom I still have a great friendship with today. Maggetti has been with Disneyland for 23 years and has worked in 13 different roles, including assistant manager in food and beverage; a project manager tasked with planning the opening of Disney California Adventure Park; running the operations of the outdoor vending business; and manager of training and development in human resources. At one point, he spent a couple years living in Japan, leading the food and beverage team at the Tokyo Disney Resort for Walt Disney Attractions Japan. 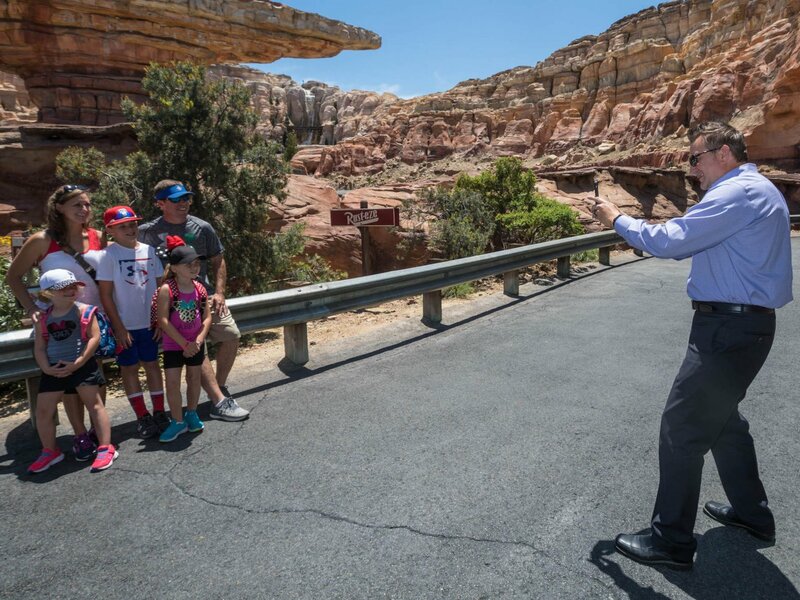 He returned to the United States to work on the expansion of the park that added Buena Vista Street and Cars Land in 2012. 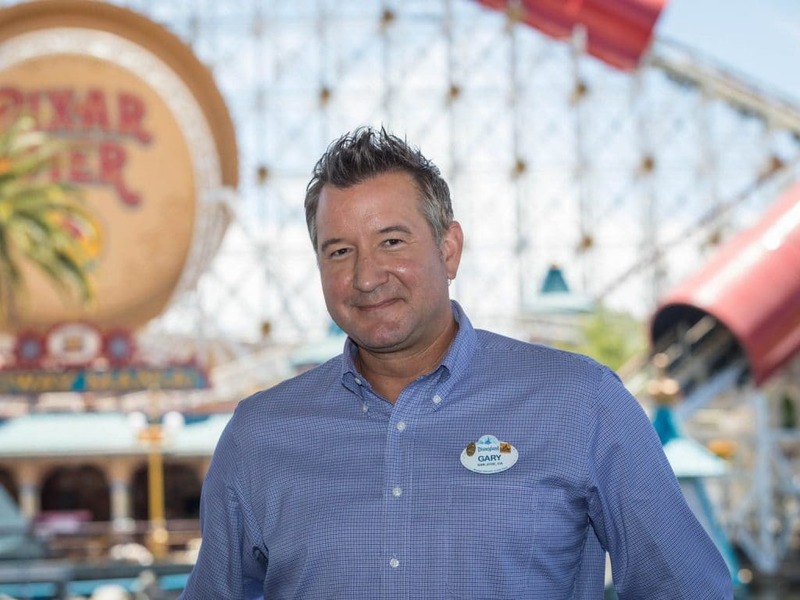 And in 2016, Maggetti became the general manager of Disney California Adventure Park West, overseeing the attractions, guest show operations, retail and food and beverage for lands that include Disney’s newest area, Pixar Pier. On the way to a meeting, Maggetti stops to take a photo. No two work days are ever the same, but one thing remains constant: his love of this magical place. When he gets the chance, Maggetti visits Flagstaff and gives guest lectures in business and HRM classes, sharing as much as he can about his experience at NAU, his journey through Disney and words of advice that got him where he is today. 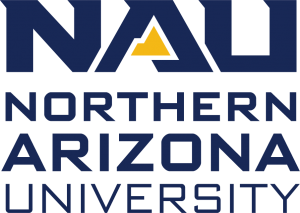 “I owe NAU a debt that I will continue to attempt to repay,” he said, noting that he did, in fact, repay all his student loans. The best part about Maggetti getting to live his childhood dream every day? He gets to do it with his twin brother by his side—Chris Maggetti is the executive chef at Disneyland.